Give me a fishing village over a beach any day! As it was our second time in Malta, Jim and I were well aware that we did not want to stay in one of the resorts around St. Julian. Yes, that’s where the night life is centered. Yes, you can get to the beach and work on your tan, but that’s not what we wanted. 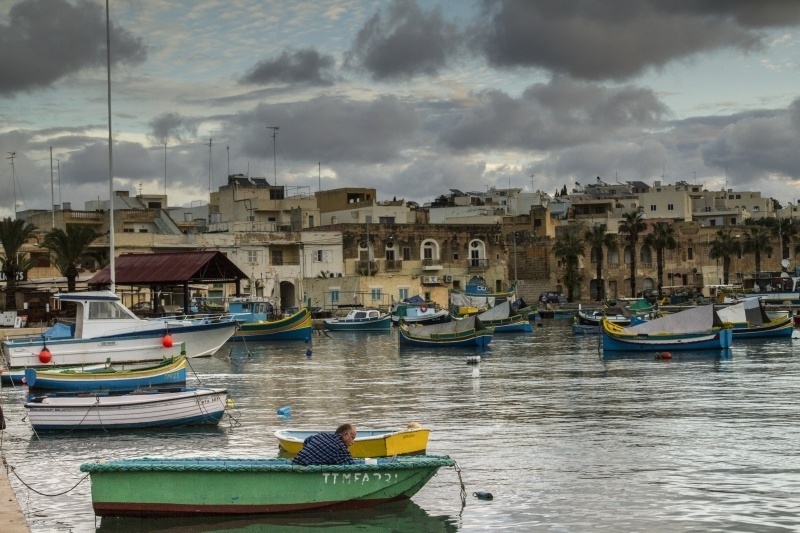 We wanted to stay in the quiet, picturesque town of Marsaxlokk, which pretty much shuts down after dinner. I like that. 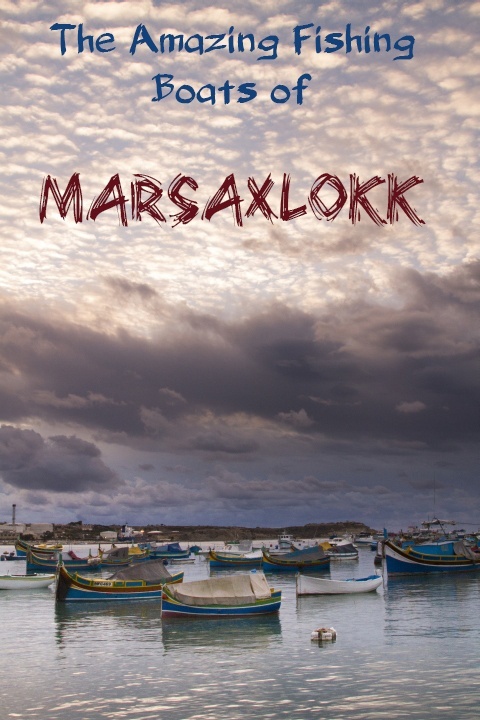 Marsaxlokk means “Southeasterly Port,” and it has been in constant use for thousands of years; primarily as a fishing port, but also as a strategic defensive point against a variety of invaders including the Ottomans during the siege of Malta in 1565. Today, it is a lunchtime tourist spot. 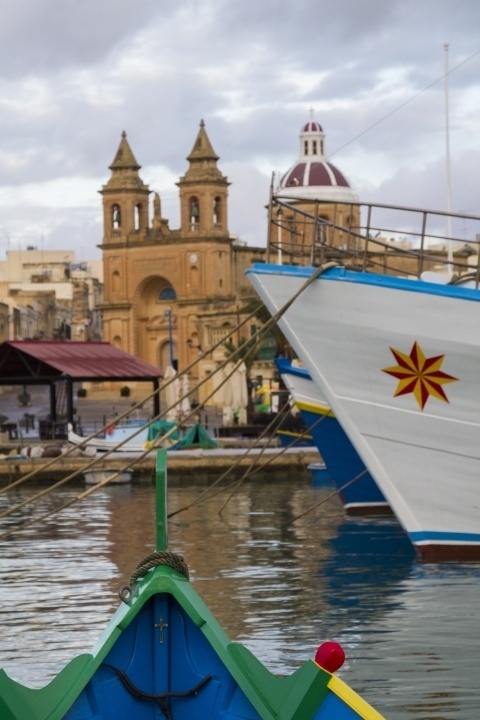 A short bus ride from anywhere on the island, visitors come to gawk at the pretty harbor and colorful boats as well as feast on the Med’s bounty. Fish restaurants abound along the waterfront offering everything from the local fish called “lampuki” to some regulars like squid, octopus, swordfish, and tuna. We did this the first time we went to Malta and left feeling disappointed. It was one of my favorite stops, yet we didn’t spend near enough time there. We were intent on finding accommodation in this town away from the throngs of tourists and partiers on other parts of the island. It was the right choice. We arrived at night in a huge rainstorm. Our windows rattled and we looked out of the balcony to the moored boats rocking on the tumultuous waves. In the morning, we walked all around the waterfront, and the only other people there were the fisherman who live on some of the larger vessels. 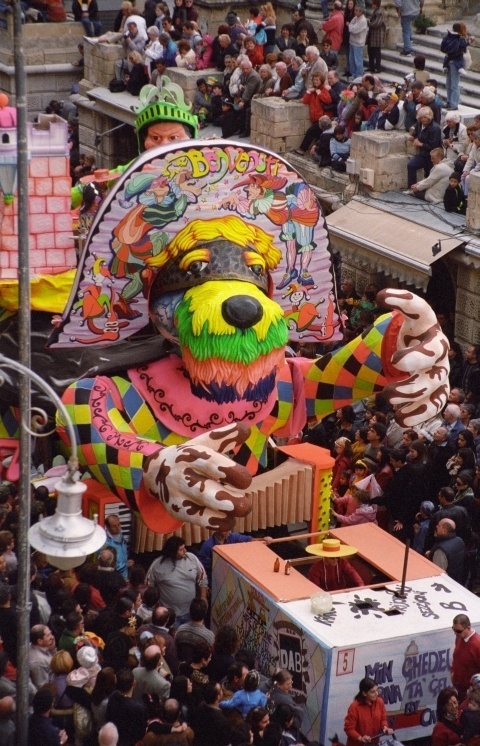 The sunrise brought with it streaks of pink and orange, which just enhanced the traditional colors of the luzzus, what the Maltese call their boats. These fishing boats were brought over with the Phoenicians around 1200 BC. 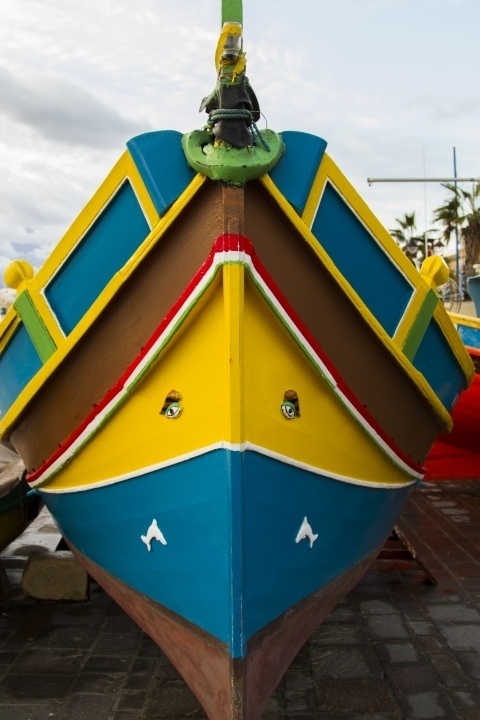 You can tell a luzzu from other varieties, because it is pointed on the front and back of the hull, and they are traditionally painted in the primary colors of yellow, blue, and red. 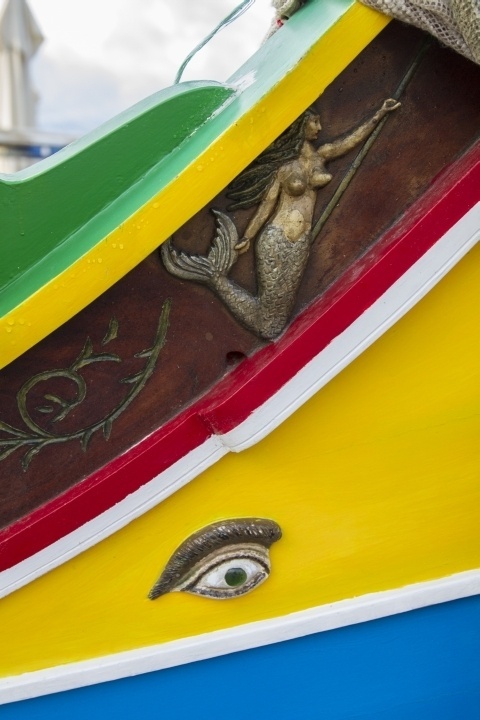 The one characteristic which endears them to tourists is that on both sides of the prow are painted a pair of eyes. These are called the ‘Eye of Osiris” which is of Greek or Phoenician origin. 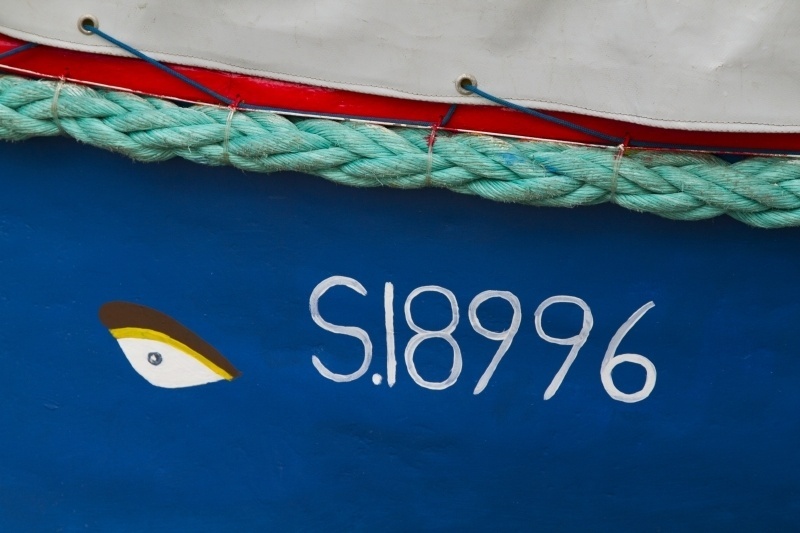 It is said that, like many fisherman all over the world, the Maltese can be very superstitious. The eye has been there for centuries protecting them from the evils of the sea, but the fisherman don’t stop there. They also keep the exact same paint pattern that has been passed down from grandfather, to father, to son, and just to cover all their bases will also have a crucifix attached to the inside of the prow as well. One can never be too safe! We just love this little town and we were happy to find the perfect accommodation as well. We stayed at the Portview Inn, and I would highly recommend it if you are looking for a quiet holiday away from the parties. 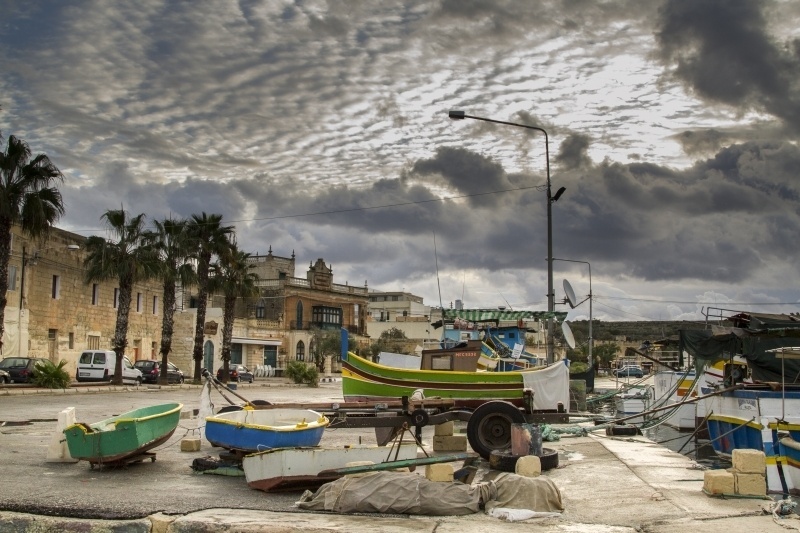 Have you been to Marsaxlokk and seen the beautiful luzzus? This post is linked to Travel Photo Thursdays over at Budget Traveler’s Sandbox. This sounds like a wonderful place to visit Corinne. Like you we don’t like to be in the party beach places… I love the colour of the boats – there’s something so down to earth about fishing villages. Fil, This was a great place to spend a few days. I love fishing villages. Hi Corinne, your pictures are absolutely stunning! I especially love the drama because of the cloudy sky, beautiful! I have been to the same village and it is truly a wonderful place. I love seeing Malta through your eyes. These photos are great. And, like you I don’t like to stay where the party is, maybe one night, but not for a long. 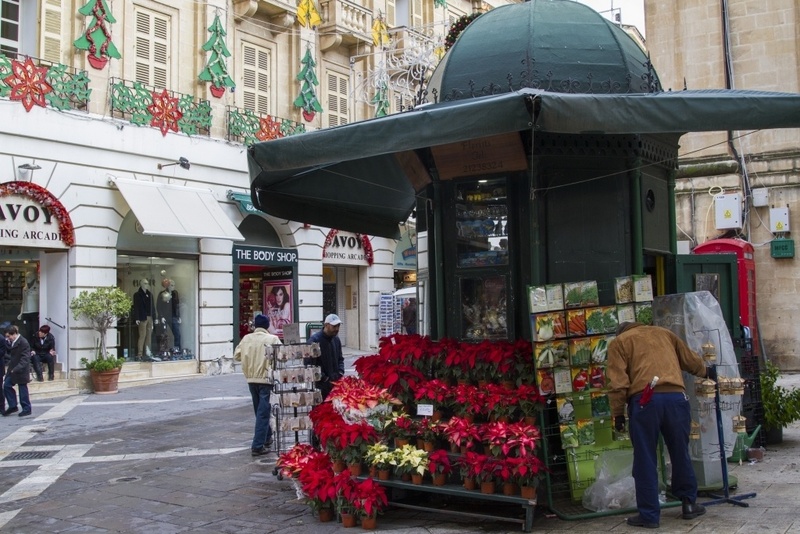 Rhonda, Malta is gorgeous, and it’s a pretty cheap place to get to. Four days would about cover it. You would love it! Not only haven’t I been there, I’ve never heard of it until this post! Your photos as gorgeous, and it must be wonderful to spend time in this little remote gen. I have a thing for fishing villages, myself, not that I’ve been to many! Amy, Malta is another place you would love. It’s such a great mix of northern Africa and Europe, just as it should be! I’ve never been to Malta, but your pictures look stunning! I love exploring little villages, and the boats are so colourful. Thanks for sharing! 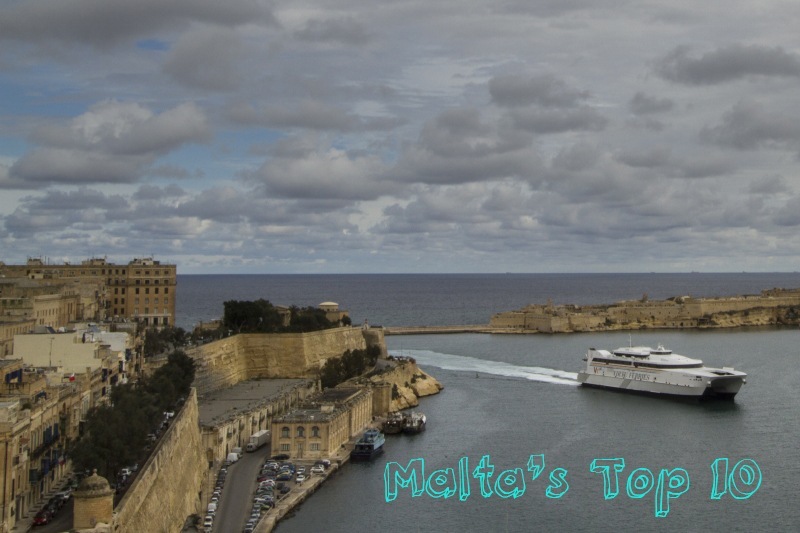 Molly, I recommend Malta to everyone. We’ve been twice and I dare say we’ll go again…it’s just such a captivating place! And thank you! Love the colorful boats and especially the captures with the dramatic looking clouds and the reflections on the water. Karen, First, thank you. 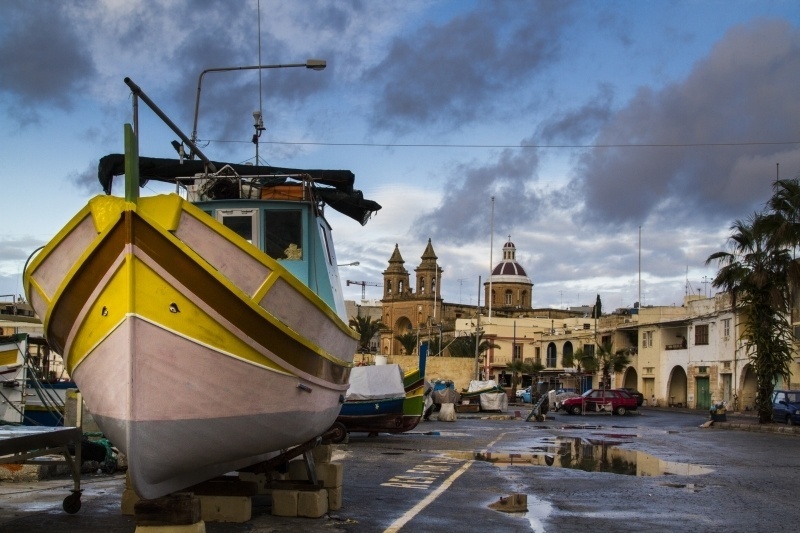 Second, we were in Malta at the end of November and it rained at least a little each day. It may not have been the absolute best time to go, but like you said the clouds really add a tone to our shots! Those boats are so picturesque, I can see why you wanted to spend time there. The skies are so dramatic, and your 4th photo is just stunning. I’ve never been to Malta but would love to go. Thanks Phoebe. You really should spend some time there, it is an amazing place. One week would be more than enough time! I really enjoyed these photos. Boats and Marinas are my thing so they hit home. The Ottomans got around didn’t they? Jan, Those Ottomans sure did get around. Malta was such a mix of cultures; there are still a few old mosques around. The luzzus are gorgeous! I like how colorful the luzzas are and how they stand out against the backdrop of beige buildings behind them. The clouds lend a certain brooding element to the scene. The Eye of Osiris tradition is so interesting. I like that they’re keeping on the lookout for the boaters. 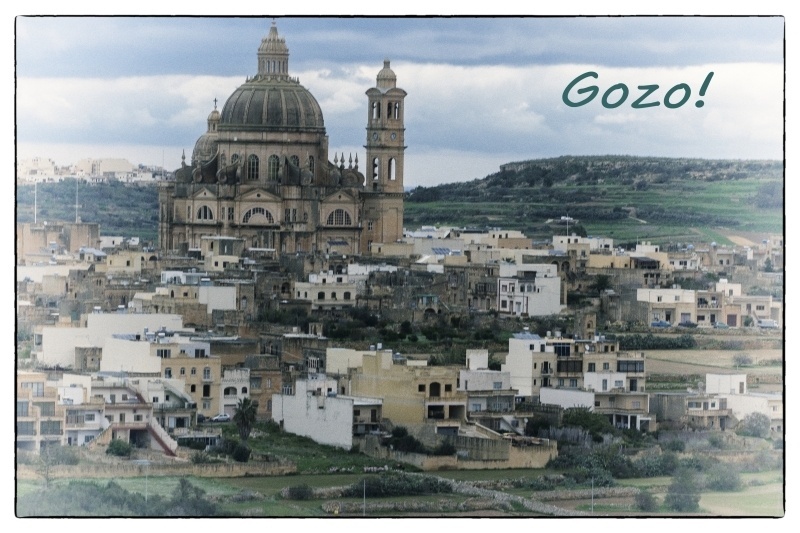 Michele, It’s a great tradition, and really it was the luzzus that drew us to stay in Marsaxlokk. It was perfect! very fun photos! I always love stories that take you off the beach part of beach destinations and show you the local culture. Eileen, I do too! 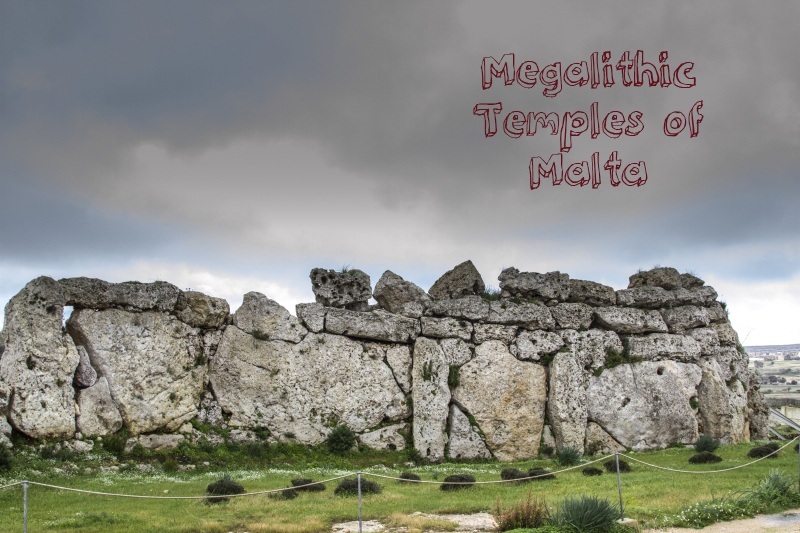 Malta has so much more to do than just beaches, but the beaches are gorgeous as well! It’s a great all-around holiday! Lovely! I like the idea of being somewhere quieter too. Thanks for sharing these photos with us! Deniz, It’s really a gorgeous spot. I love Malta!